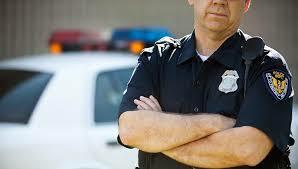 A bench warrant is a “go to jail, do not pass go” document. If you have a warrant against you, police will arrive at your door and cart you off to jail. The police do not call. Have you ever seen a cop show where the police ring up a dangerous felon? Typically, the caller will order you to purchase a pre-paid card or arrange to send money via Western Union or MoneyGram. Don’t do it! If you suspect the call may be legitimate, call your local police station immediately. Another common scam is the relative in jail scam. Senior citizens are usually the targets of this scam. The caller pretends to be a family member, saying he is in jail. The caller says a bondsman will be calling shortly. The target is expected to give out credit card information or to send money through Western Union or using a pre-paid card. This is a scam. Like the kidnapping scheme, the target is not offered any proof that the story is true. The scammer plays upon the target’s fear that a family member is in distress. If you receive such a call, find out the name of the jail and call it directly. If a bondsman is required, meet him at his office or the jail. Citizens may receive an annual phone call asking for donations to the policeman’s ball or to support the Fraternal Order of Police. Police do solicit funds for these and other charities, but will not ask for a credit card or wire transfer over the phone. If you receive this call, do your research and contact the organization directly for verification. It may be difficult to identify a false request asking for money, although it is not impossible. Scammers often use fake identities and use a spoofed caller ID to hide their real phone numbers. Scammers may be able to tap into phone numbers used by police to appear legitimate. If the caller asks for a donation, ask questions. Ask the representative for information about the organization. Callers should supply their full names and the organization’s legal name and address. You can require the caller to explain how donations are allocated. If the caller states that the request is coming from a specific chapter or precinct, call that location to verify before opening your wallet. Scammers faced with questions may be unable to give an answer, get defensive and hang up. You can also use an iPhone app to do a reverse look up a phone number to check if it’s related to scams.